Muneeza Sheikh practices in the area of labour and employment law. She provides advice and representation in employment matters to corporations and executives, including dismissal, hiring, contracts, human rights and employment litigation. Muneeza successfully resolves difficult and complex employment matters, both litigious and non-litigious. 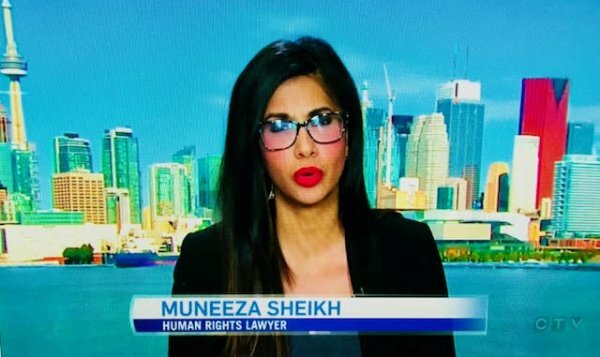 Muneeza is regularly invited to present workshops at mosques, community centres, shelters, and various universities to speak about her experience as a lawyer, and a human rights activist. 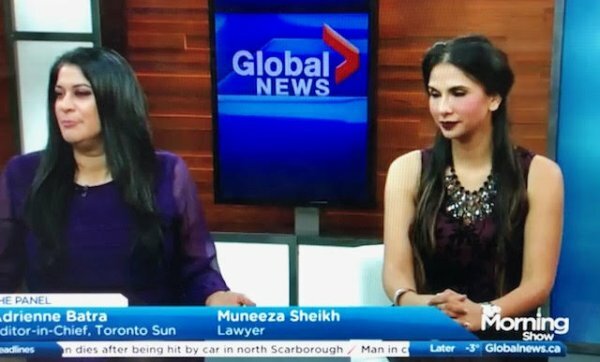 Muneeza was also featured in CBC’s documentary titled “Muneeza in the Middle”, which aired in January of 2015. 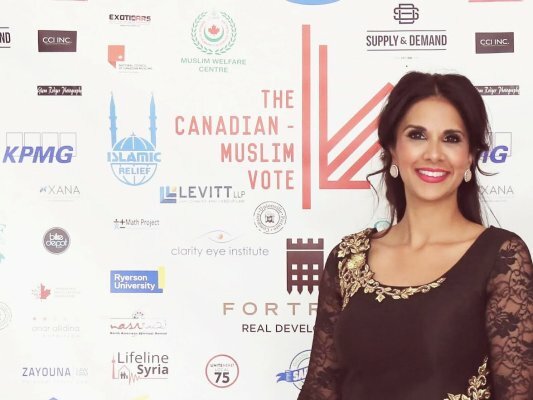 The documentary looked at her journey in trying to reconcile her identity as a Muslim woman with her identity as a Canadian woman. 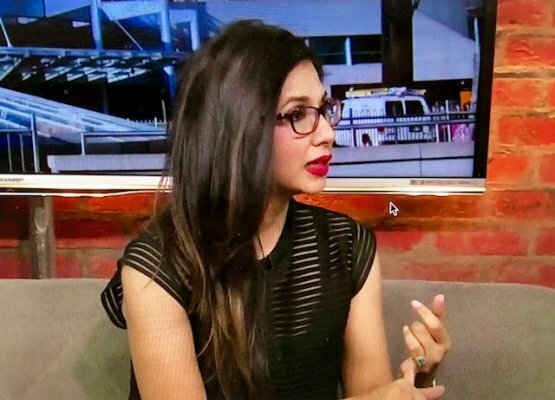 The documentary was widely received, and since then, Muneeza has been contacted on a number of occasions to speak to identity issues as a second generation Canadian. Hundreds of teachers across the GTA received layoff notices this week, with more expected. On Tuesday, Ontario’s second-largest school board – the Peel Region District School Board – told more than 300 teachers that they were being “surplused” for the next school year. Wednesday, they were joined by the Halton Public School Board which told about 150 elementary teachers they would be “potentially redundant,” though the board hopes to call some of those teachers back. Notices have also gone out to teachers in Toronto, Dufferin-Peel, Hamilton, and Halton, but parents and teachers are still wondering what will this mean in the classroom? And is the provincial government going back on its promise not to cut frontline jobs? Education Minister Lisa Thompson has said repeatedly that the surplus letters are not cuts to teachers. “There will be no involuntary job loss associated with our education plan and how we are moving forward to fix a broken system,” says Thompson. The Progressive Conservatives’ plan involves increasing average class sizes in Grades 4 through 12 and mandatory online courses for high school students. 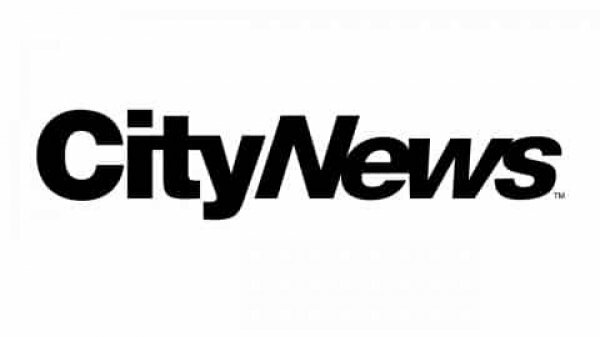 Dufferin-Peel Catholic District School Board, which has sent notices to 170 teachers, told CityNews in a statement that the annual review was influenced by the education changes. Is Justin Trudeau's political future in jeopardy? The Canadian prime minister is embroiled in a scandal that could undermine his bid for re-election. Canadian Prime Minister Justin Trudeau came to power in 2015 promising a new era of government transparency and inclusion, especially for women and indigenous communities. But a corruption scandal involving the engineering firm SNC-Lavalin Group Inc. not only threatens his hope for a second term, but the political future of his Liberal Party. Jody Wilson Raybould and Philpott out of caucas. Former Attorney General tried to make a case for staying by writing a letter. Committee votes against ethics probe. Tories and NDP want Jane Philpott and Wilson-Raybould to appear in probe. Bill Morneau tables new budget despite interruptions by the Conservatives. Kenny wants to kill of the provincial carbon tax. Prime Minister Plans Next Steps. Minister Philpott resigns in wake of SNC - Lavalin. Muneeza and Panel discuss the situation. In the wake of SNC-Lavalin and testimony from Jody Wilson-Raybould Prime Minister Justin Trudeau shuffles cabinet. Muneeza joins panel discussion. We are just a few hours away from the polls closing in the Burnaby-South byelection. It is a key race for the New Democratic Party - leading up to the federal election in the fall. NDP leader Jagmeet Singh is vying to get his first seat in Parliament. But this riding has been competitive for all three major parties in the past. The NDP won by a narrow margin in the last federal election in 2015. Ontario is imposing a directive on Hydro One to cap its executive compensation at $1.5 million. 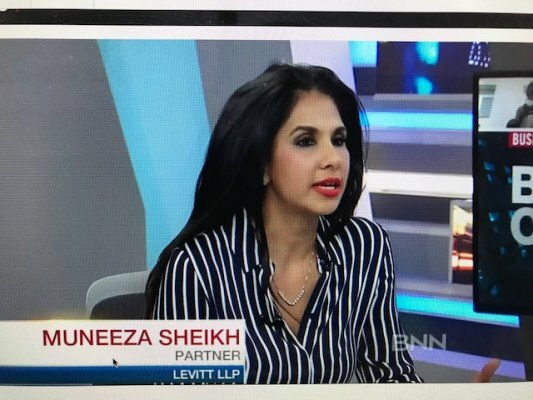 Muneeza Sheikh, employment lawyer and partner at Levitt LLP, tells BNN Bloomberg that such a move is sets a low bar as the company continues to search for a new CEO. Liberals limit scope of investigation in SNC Laval probe. One member calls it one of the most troubling cases in years. Prime Minister faces allegations of obstruction. Report: PMO pressured former AG to intervene in SNC-Lavalin case. 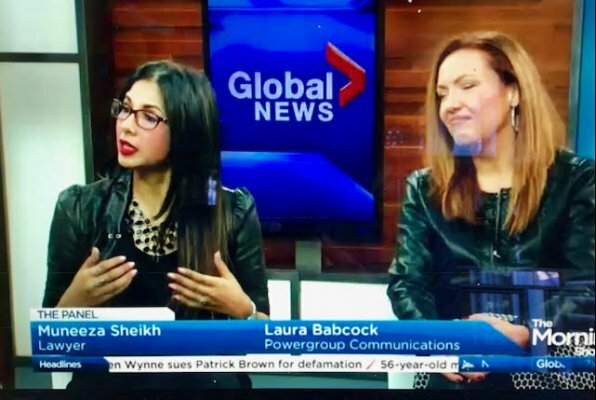 Laura Babcock and Muneeza Sheikh join Jeff McArthur to weigh in on the discussion. Part of cross country tour ahead of the elections. Part of cross county too ahead of the elections. The Prime minister took many questions. 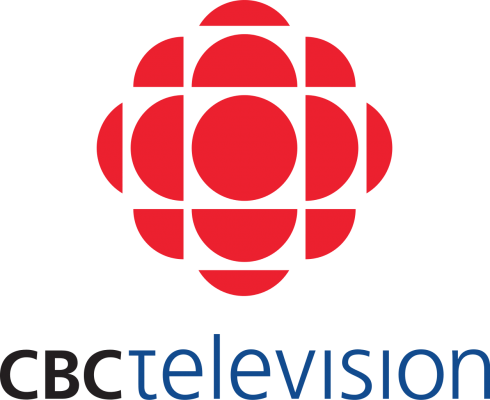 CBC Parnell discussing rising tensions with China. United States confirms it will proceed with the extradition request of Meng Wanzhou. 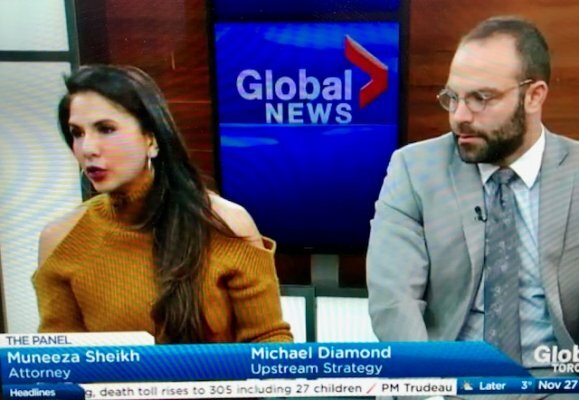 Muneeza Sheikh and Michael Diamond join Jeff McArthur to weigh in on the conversation. Standing up for Canadian values in regards to China. Chinese courts sentence Canadian man to death. Drawing the line on bad behavior. Drake under fire for inappropriate behavior with an underage fan. Alberta bailout package an exercise in Ottawa PR? Is Ottawa's $1.6 billion package to help the energy sector in Alberta a PR exercise that should be refused? Or could it really help? 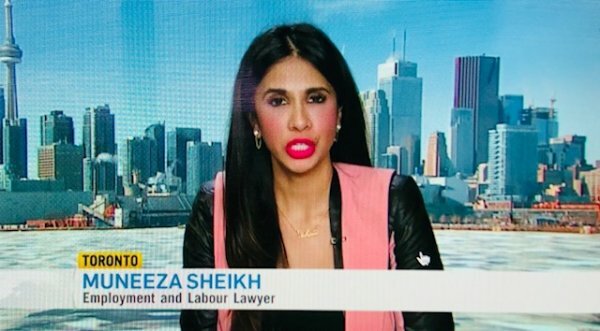 Sean Speer, senior fellow at the Macdonald-Laurier Institute, Muneeza Sheikh, an employment lawyer with Levitt LLP, and author, and columnist Michael Coren discuss. Freeland and Muneeza discuss China, U.S and Canada relations. Pompeo calls for detained Canadians to be released by China. Muneeza and panel discuss the issues at hand. In Oshawa, newly assembled trucks and cars are rolling off the line, but union leaders say GM's plan to close the plant is a breach of contract, and it's threatening new protests. We check in with a labour lawyer to see if that is the case. 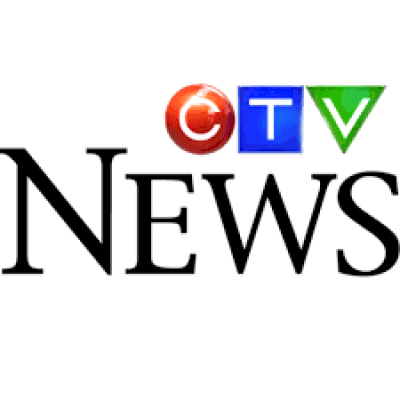 The panel weighs in on GM plant closure in Ontario. 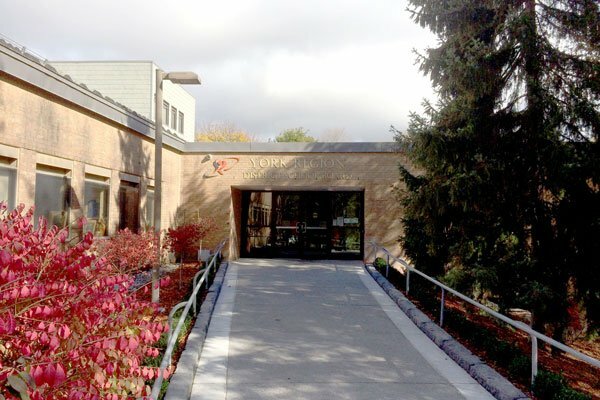 Toronto police arrested six teen boys from St. Michael's College School in connection with an alleged group sexual assault that was captured on video and shared on social media. School officials have been criticized for not notifying police as soon as they learned about it. Canada's Approach: Style or Substance? Ottawa to levy taxes on non complying Provinces on January 1st 2019. Tony Clements Sexting Scandal Grows. Women sharing details on Twitter. Debating Bannon's right to speak. Others argue it promotes toxic ideas. Should banks release Canadians’ transaction data? What do the attacks say about society? 11 Jewish worshipers killed in the largest attack against that community in American history. 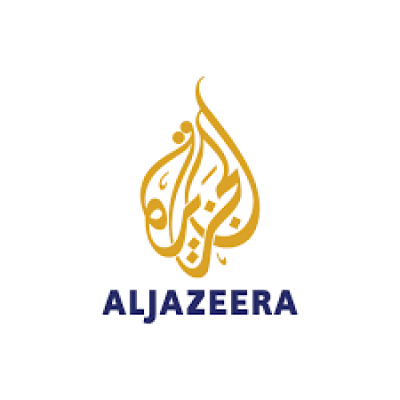 Saudi Arabia Arrests 18 Suspects. Muneeza joins discussion on latest arrest and the overall situation. 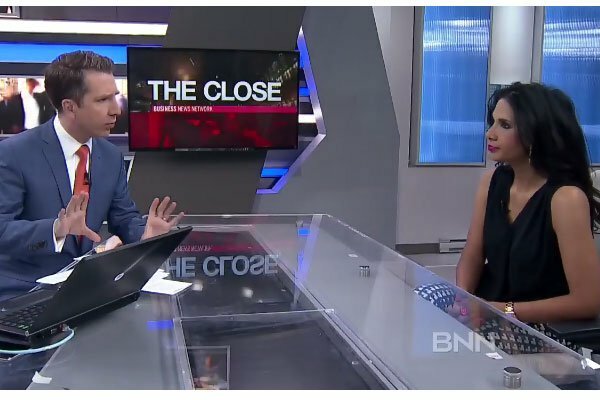 Is Canada ready for legal Cannabis? Ottawa: There will be growing pains as we adjust. Work place rights and Marijuana use. How will marijuana use and the work place deal with legalization. Do young men have it tough today? Trump nominee Kavanaugh facing sexual assault allegations. Trump orders new investigation by FBI. Did Russia get away with cheating? Panel discusses Russia potential return to the Olympics. Christine Blasey Ford, the woman accusing U.S. Supreme Court nominee Brett Kavanaugh of sexual assault in 1982, wants the FBI to investigate the case. Despite the allegations, Kavanaugh’s nomination is likely to be approved. Eric Sorensen reports on Ford’s fight, and the immense challenges women face when coming forward with these types of allegations. What does Leona Alleslev’s defection say about her? Toronto Mayor vows to fight provinces appeal. 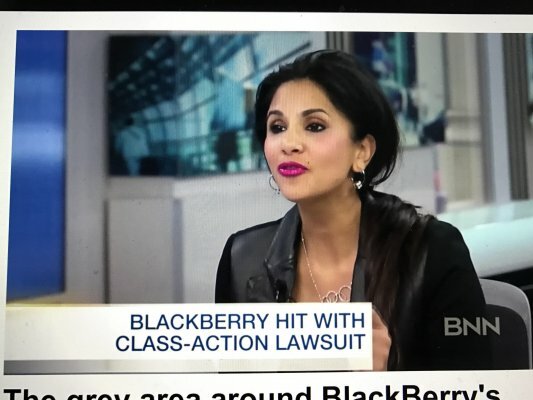 Muneeza Sheikh, employment lawyer at Levitt LLP, joins BNN Bloomberg to weigh in on harassment allegations facing Les Moonves, his resignation and CBS' move to donate at least US$20 million to organizations affiliated with the #MeToo movement. Longtime CBS CEO Les Moonves resigned sexual misconduct allegations. We speak to employment lawyer Muneeza Sheikh for more on this. It's a problem many don't know how to detect: bullying in the workplace. But a UOIT professor is trying to make it a little clearer. 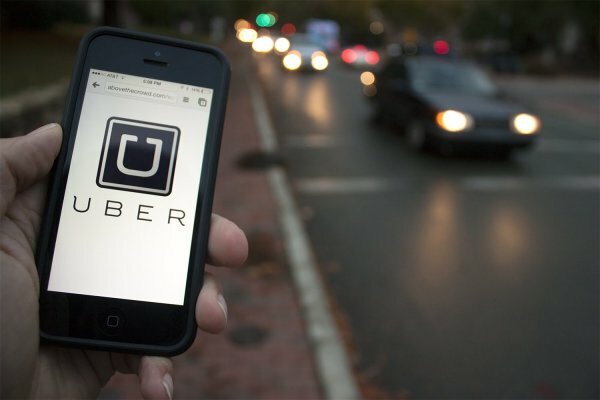 As Aaron Streck reports, there's a new study, that's looking for public input. From #METOO Activist to accused. Bennett was 17 when alleged assault took place. 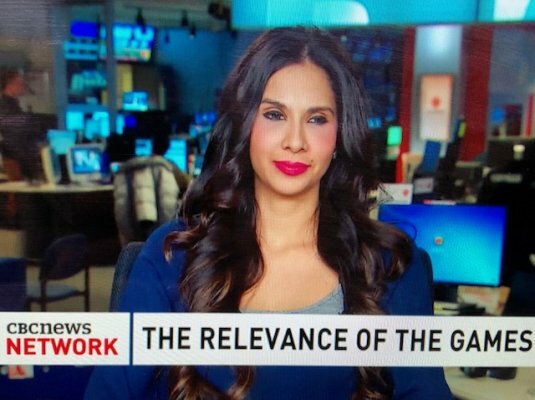 Are racial prejudices still a concern in Canadian society? Are racial prejudices still a concern in Canadian society? Muneeza joins panel discussion. Canadians spending more on taxes. Report 2017 43% of household income went to taxes. Time to stop Saudi arms deal? 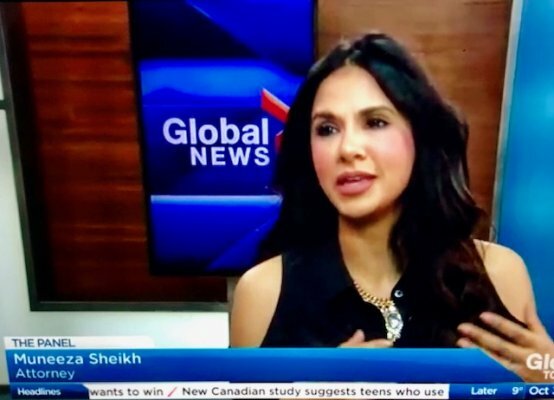 Muneeza joins panel to discuss the current situation with Saudi Arabia and the financial implications for Canada. Feud with Saudi Arabia escalates. 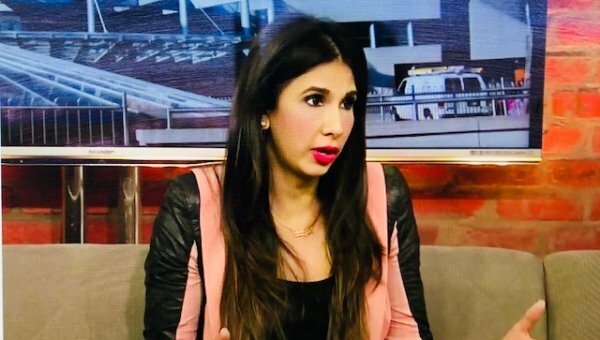 Muneeza joins panel discussing about Mel Lastmans son joining politics. Muneeza Sheikh joins discussion about the escalation of violence in the city. Is Canada trying to appease Donal Trump with mission to Iraq? 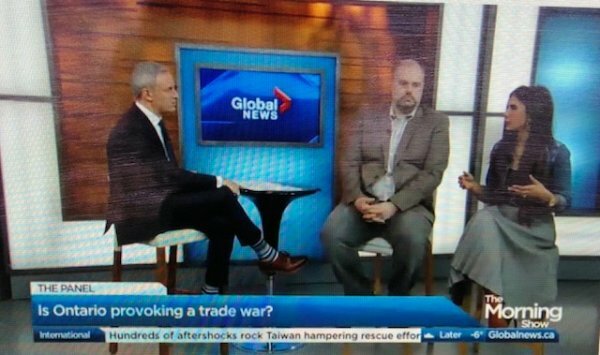 Muneeza joins panel discussion about Donald Trump and Canada trade wars. The panel on weed legalization and a BC neighbourhood declaring a war on fun. Is there an RCMP management crisis? 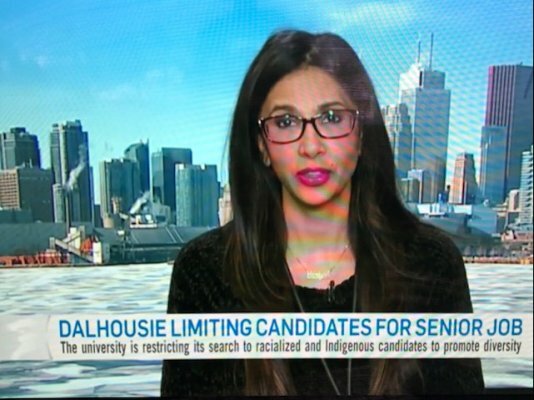 Muneeza joins CBC panel to discuss current issues with the RCMP. Nursing-home murderer Elizabeth Wettlaufer. Work place negligence. Donald Trump demands an investigation into whether his 2016 campaign was improperly surveilled. The Panel talks Trump and the Attorney General, and Taylor Swift’s fight against scalpers. Should we be worried the emergency alert test was a failure? The Panel talks asylum seekers flooding Canada’s border and the government’s emergency alert system that failed its first test. 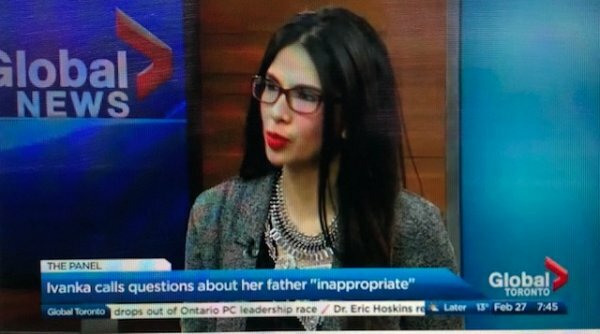 Another NDP MP under investigation. 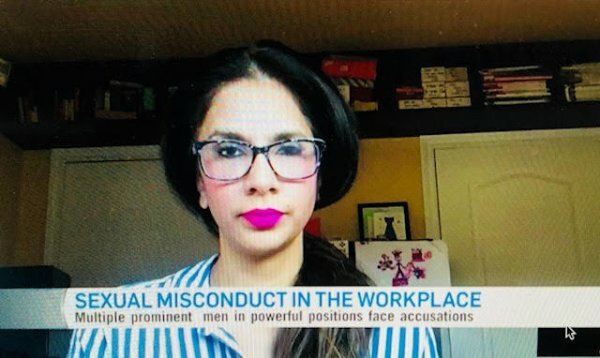 Muneeza joins CBC panel discussion about the NDP and sexual misconduct allegations. 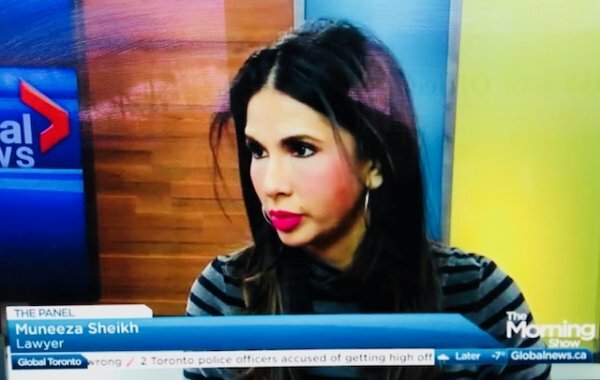 Muneeza Sheikh joins chat about why Jagmeet Singh kicked Erin Weir out of caucus. 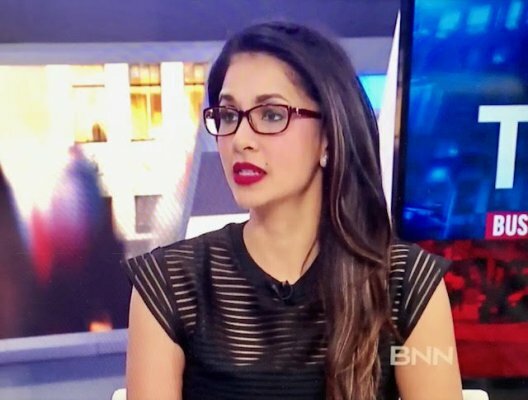 Employment and labour lawyer Muneeza Sheikh joins us to chat about why Jagmeet Singh kicked Erin Weir out of caucus and whether or not failing to read non-verbal cues in social situations is a valid reason for expulsion. Government introduces election reform bill. Can North Korea be trusted? The Panel talks North Korea’s demands for denuclearization and more drama in the Trans Mountain pipeline. 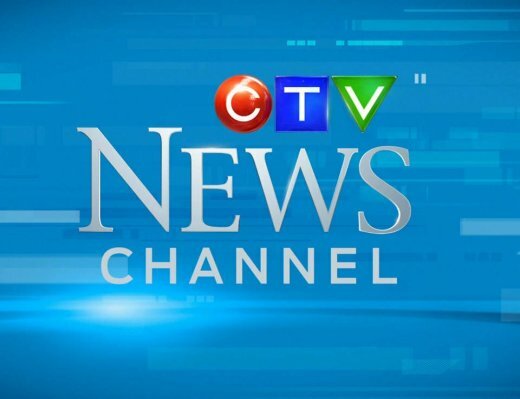 The Ontario Human Rights Tribunal has ordered a downtown Chinese restaurant to pay a black customer $10,000 as compensation for violating his rights. Muneeza Sheikh weighs in. 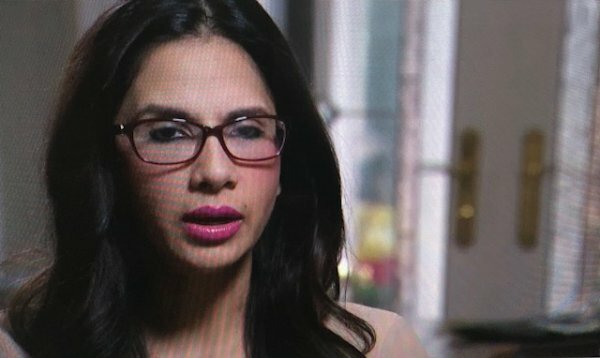 Muneeza joins panel discussion on Bill Cosby conviction and potential jail time. After effects of the tragic Van attack in Toronto. 420 Marijuana Celebration just before the Legalization. Pardons for past pot convictions? An employee's right to disconnect after hours. What should Canada’s voting age be? Canada’s elections chief thinks Parliament should consider lowering the voting age to 16. Is getting more teens to the ballot box a good idea? How young is too young to vote? And how would it change politics? Our panel casts its own opinions. 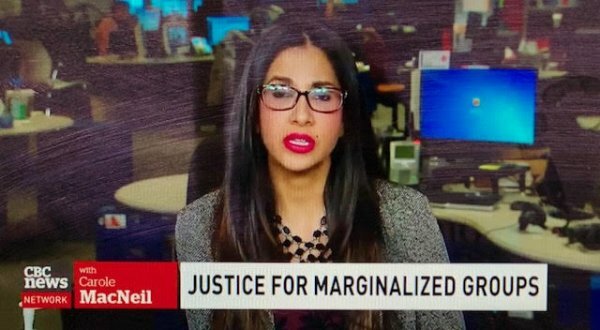 CBC Panel: Are Police Failing Marginalised Groups? Muneeza joins panel discussion on the Carole MacNeil show. A former Mountie, who led a legal battle against harassment and sexual abuse in the RCMP, says a dramatic increase in compensation claims proves the problem is prevalent. And, yet another controversy in the organization is being called shocking. Ross Lord reports. Can students bring gun change and the relevance of the Olympic. Relevance of the Olympic games 2018? Muneeza joins panel discussion on relevance of the the Olympics. Facebook posts raise questions for RCMP. Behind the headlines. Muneeza joins discussion. 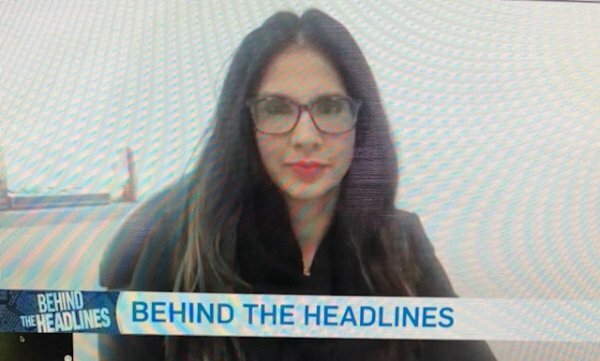 Growing backlash against the #MeToo movement, Trudeau says his 'people kind' comment was a joke and a do-it-yourself coffin all in this week's Behind the Headlines. 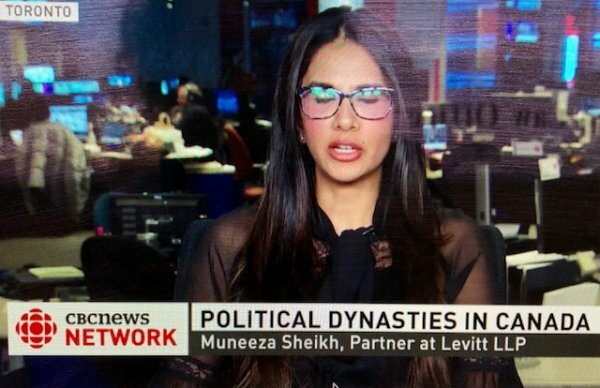 Muneeza weighs in on Political Dynasties in Canada. 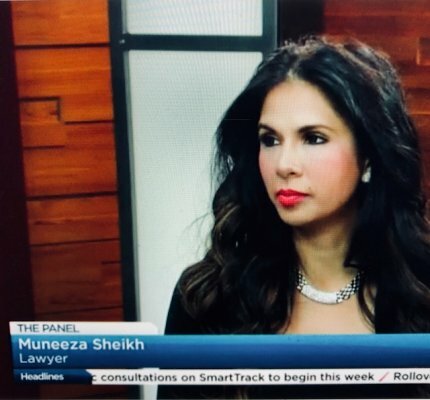 Muneeza Sheikh joins Bev Thomson to discuss the impact of allegations and what political parties and companies can do to protect their members. Ontario PC president Rick Dykstra has resigned as sexual misconduct allegations have surfaced against him. 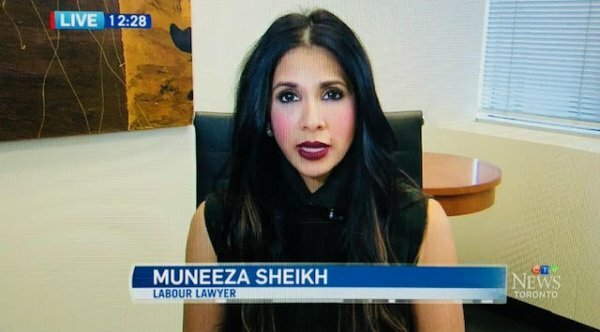 Labour lawyer Muneeza Sheikh joins Bev Thomson to discuss the impact of allegations and what political parties and companies can do to protect their members. Will an anti-harassment bill make a difference? Has the #MeToo movement gone too far? 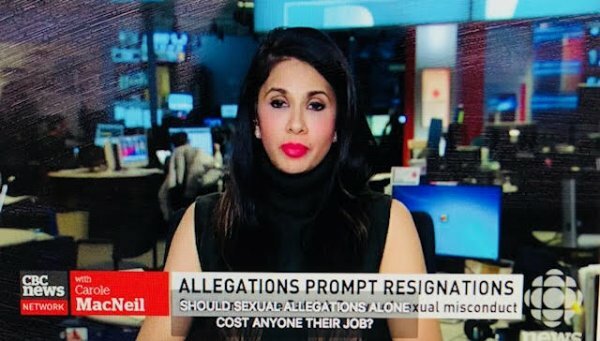 Wendy Mesley talks to crisis management expert Jaime Watt and employment lawyer Muneeza Sheikh about due process and Canadian politicians recently accused of sexual misconduct. Carole MacNeil's panel discussion about allegations raised against former leader of Ontario’s PC Party Patrick Brown. 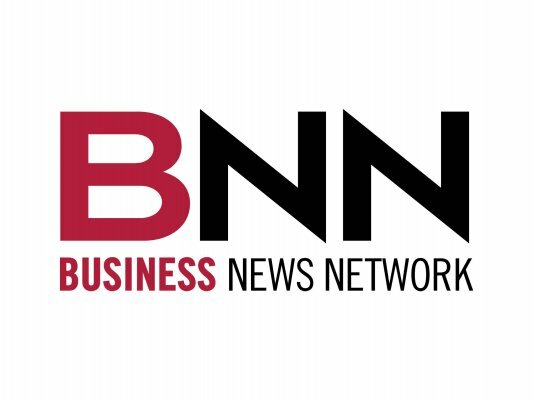 Muneeza sheikh, employment lawyer at Levitt LLP, joins BNN to discuss the challenges employers face when it comes to addressing their employees' use of cannabis in the workplace. Was the false Hawaii missile alert a simple mistake and an epic failure in leadership? Has Tim Hortons broken any Laws? Muneeza weighs in. 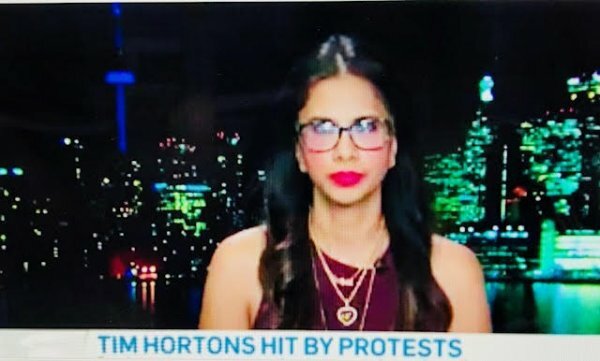 TIM HORTONS hit by protests. 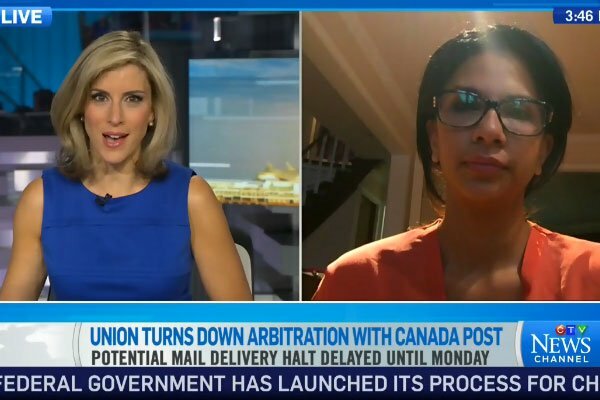 Muneeza weighs in on the legalities of Tim Hortons changing company policies in regards to employee breaks and benefits after the minimum wage increase. Corporate perspective on sexual harassment in the workplace. 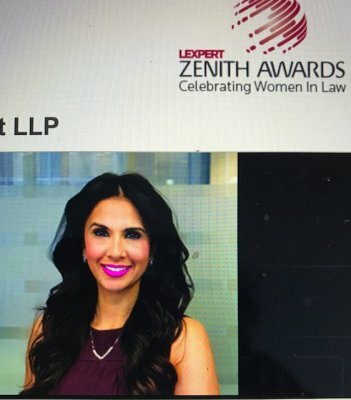 Muneeza Sheikh, partner at Levitt LLP, offers insight into the C-Suite survey and gives perspective on sexual harassment in the workplace. A symposium focused on curbing sexual violence in Hollywood North kicked off in Toronto Wednesday. 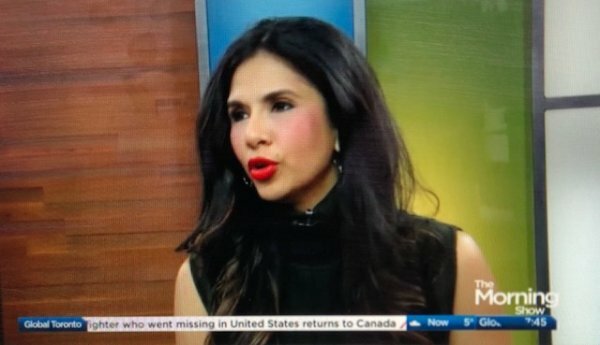 Ginella Massa with the recommendations that were put forth in the wake of the #MeToo movement. Sexual misconduct in the workplace. Panel discussion. The recent onslaught of allegations of sexual assault and harassment has been shocking. We invited three industry professionals, Filmmaker Gurjeet Kaur Bassi, Tech CEO Stacey Epstein and Lawyer Muneeza Sheikh to discuss what women have to deal with. Hundreds marched in Toronto in support of victims of sexual harassment and to encourage others to come forward. “I think they are more inclined to take a step back and say ‘look, these allegations have been made but we haven’t done much to investigate them. We want to talk to the complainant, we want to talk to the person who the complaint is about and we want to potentially talk to other witnesses as well and get the full story,'” she said. 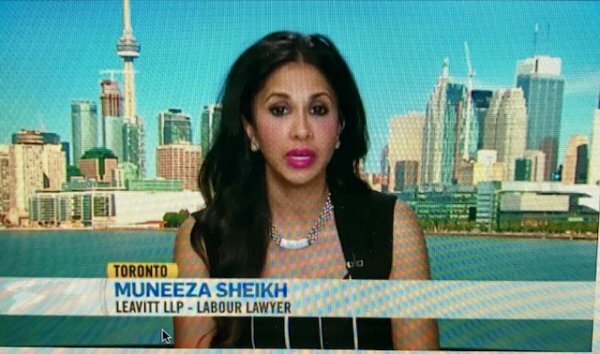 Following a pre-emptive firing by NBC of its star anchor Matt Lauer, Muneeza Sheikh of Levitt LLP speaks with BNN about what employers need to think about when it comes to the growing issues of sexual misconduct in the workplace. 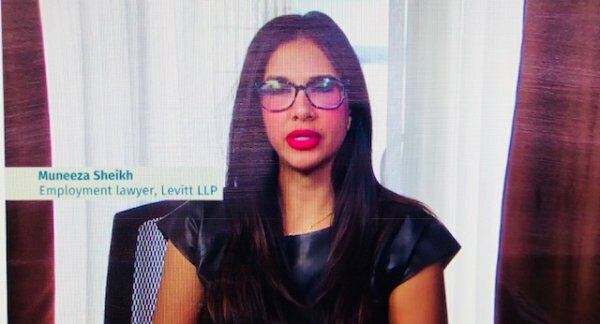 Employment lawyer Muneeza Sheikh says the short time between when a victim reported Matt Lauer and he was terminated is concerning. 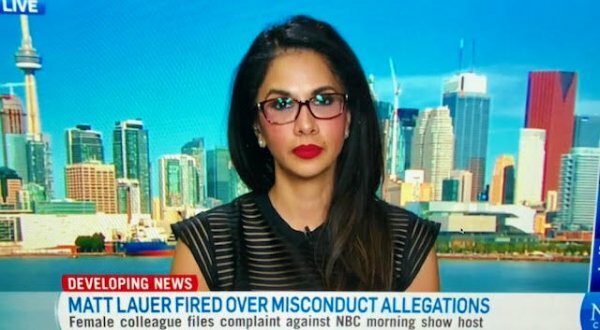 Employment and labour lawyer Muneeza Sheikh weighs in on NBC's handling of the sexual misconduct allegations against Matt Lauer. A number of sexual harassment allegations have raised concerns over how harassment is dealt with in the workplace. So what's the best way for employers to handle harassment disputes? 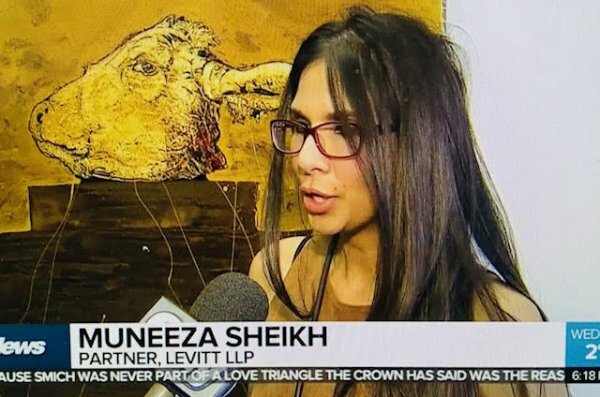 Muneeza Sheikh, a partner at Levitt LLP, specializing in employment, labour and human rights weighs in on the issue. Will the new harassment bill make workplaces safer? 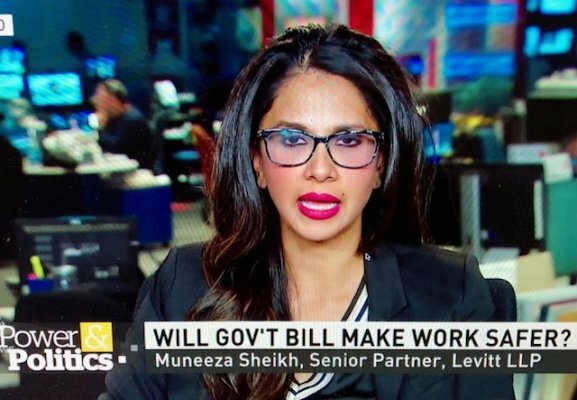 Employment and labour lawyer Muneeza Sheikh, senior partner at Levitt LLP, weighs in on the government's legislation. Bernie Sanders praises Canada’s healthcare system. Muneeza Sheikh joins panel discussion. The Panel discusses Bernie Sanders’ praise for Canada’s healthcare system & talks the racist gesture made during the World Series by an Astros player. 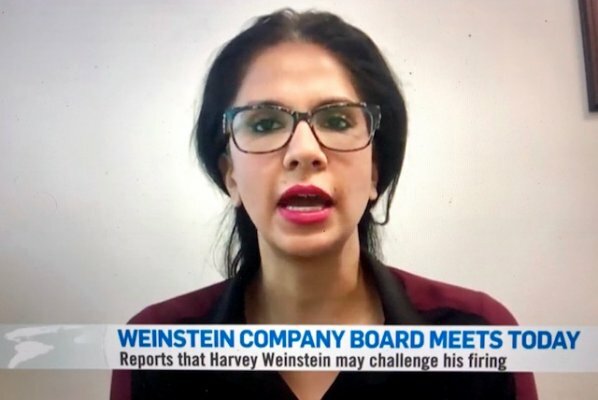 Muneeza discusses Harvey Weinstein firing from his own company. 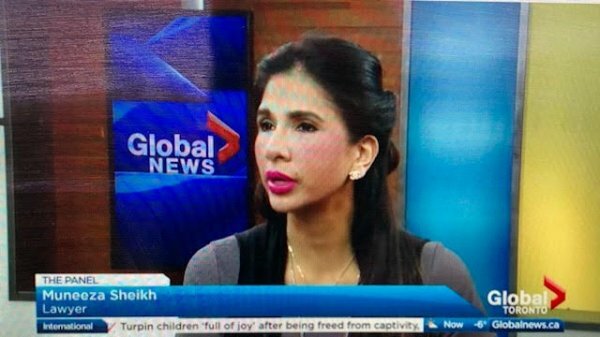 Muneeza Sheikh on Global Morning show providing a legal perspective on Liberals targeting the less fortunate. Are Liberals targeting the less fortunate and Mike Pence’s protest just more distraction? 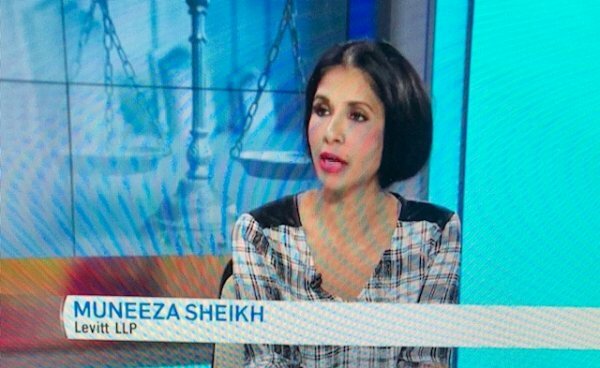 Muneeza Sheikh on Global Morning show providing a legal perspective. The RCMP has been found guilty of a labour code violation. 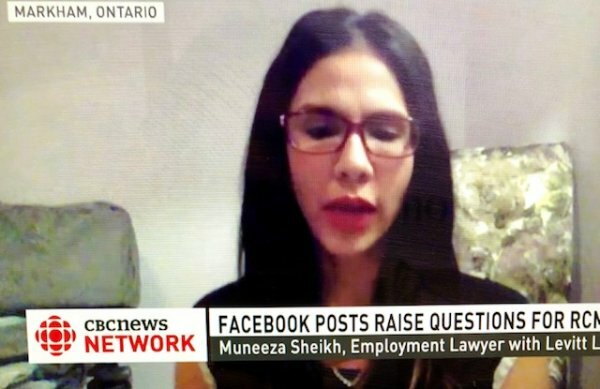 Muneeza shares a legal perspective. The RCMP has been found guilty of a labour code violation after a shootout left three Mounties dead and two others injured. For more, we are joined by Muneeza Sheikh. A partner at Levitt LLP who practices employment and labour law. 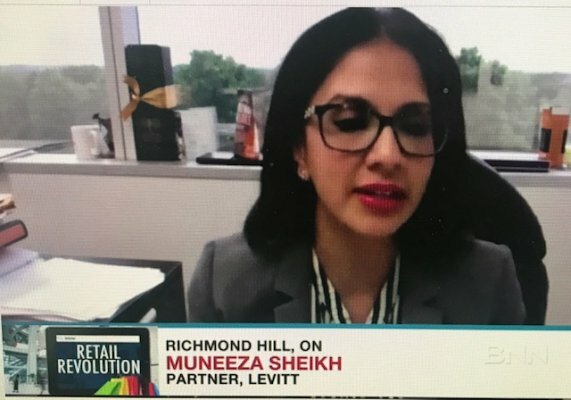 Muneeza Sheikh, partner at Levitt LLP, says Sears Canada's largest investor Eddie Lampert has many reputational hurdles ahead as he considers a deal for Sears Canada amid financial uncertainty for the company. Lampert is also the CEO of parent company Sears Holdings. The RCMP is facing four Labour Code charges. 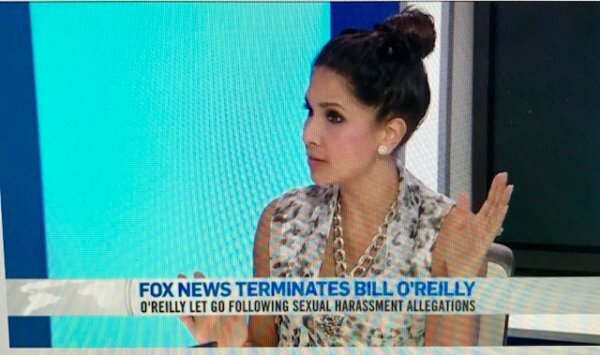 Fox News has decided to cut ties with long time host Bill O’Reilly amid sexual harassment allegations. 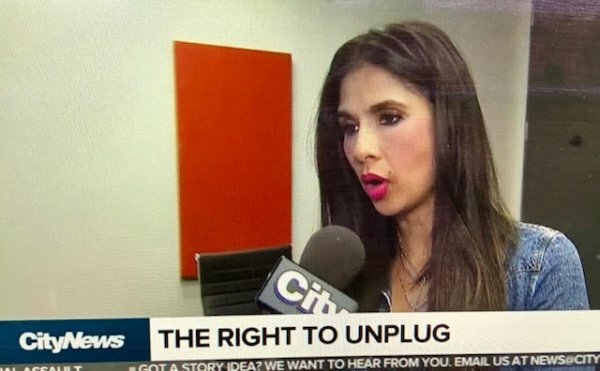 We check in with Levitt LLP Employment Lawyer Muneeza Sheikh for what this means to the embattled host and broadcaster. 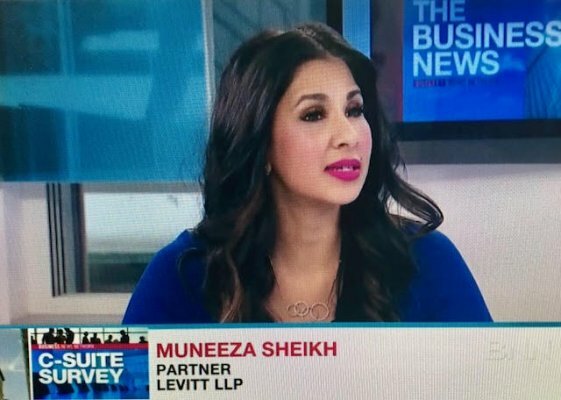 Levitt LLP partner Muneeza Sheikh gives BNN her legal perspective on the United Airlines incident where a passenger was violently dragged off an overbooked flight. She says the airline company's CEO could face termination over remarks made in the aftermath. BlackBerry has been hit with a class-action lawsuit after transferring employees to Ford following a partnership between the two companies. 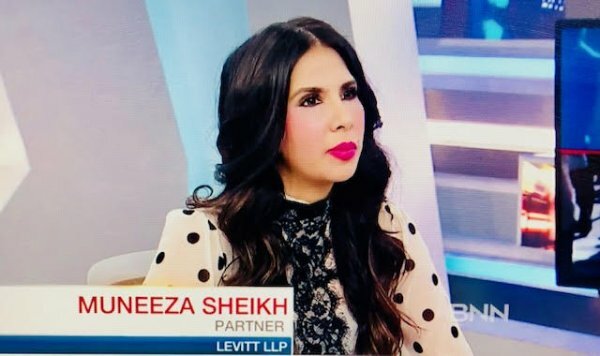 Levitt LLP employment lawyer Muneeza Sheikh joins BNN to discuss the lawsuit and why there can be confusion surrounding the concept of "transferring" employees. 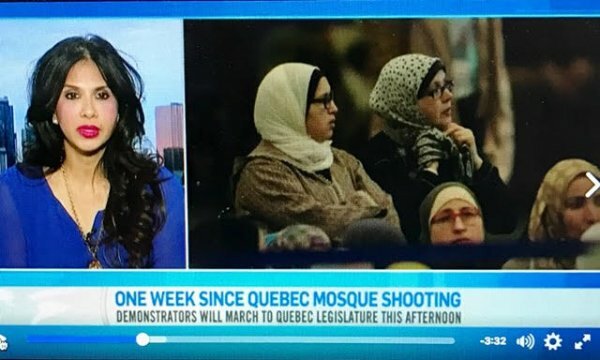 Follow up appearance on CTV discussing next steps to take after the Quebec Mosque shooting. On January 29th 2017 6 men were killed and 19 injured in a Quebec mosque during evening prayer. The massacre has prompted Canadians across the country to speak up and to show support to the Muslim community. 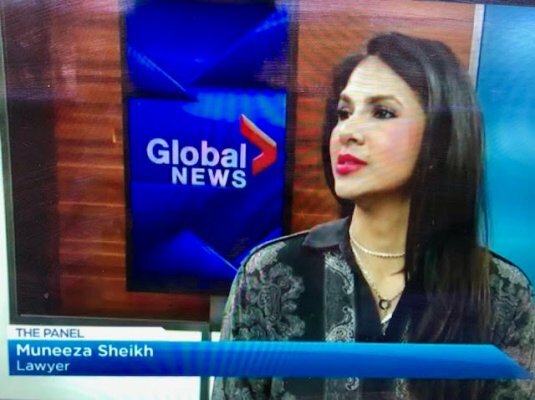 Muneeza Sheikh with Canadian Muslim Vote joined CTV News Channel on what needs to change in our country to ensure acceptance. Across Canada, hundreds of people are coming together to remember the victims of the deadly Quebec mosque shooting. 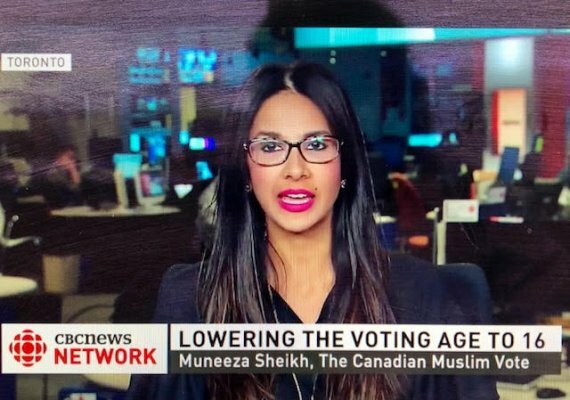 Muneeza Sheikh, Director of Communications at Canadian Muslim vote joined CTV News Channel with her views and reaction over what happened. 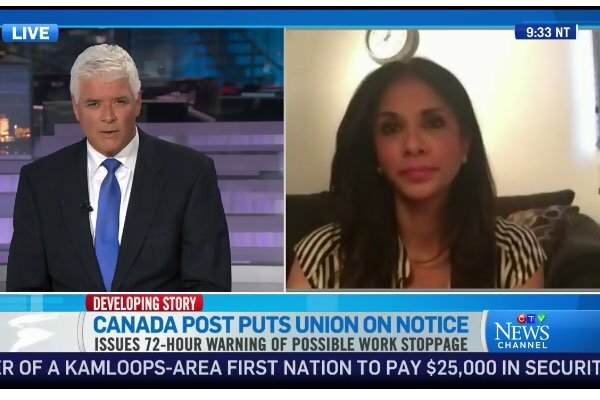 Half a million non-unionized federally regulated workers now have the right to not be fired without just cause after the Supreme Court of Canada ruled to put their rights back on par with those of unionized employees. 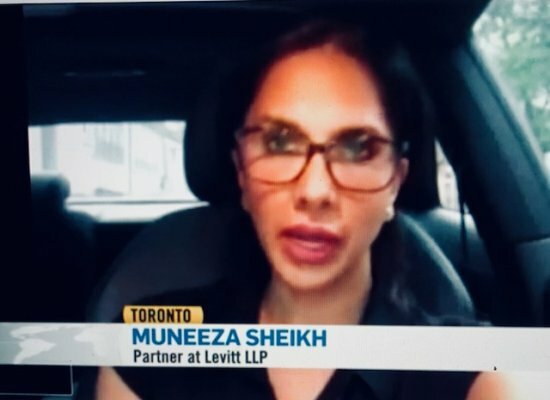 Levitt LLP Partner Muneeza Sheikh joins BNN to break down what it means for federally regulated employers and the labour market..
Is Uber a Car Service? The voluminous black and white scarf Toronto lawyer Muneeza Sheikh wraps around her head as a hijab at the conclusion of documentary Muneeza in the Middle has a dramatic skull motif — and is from designer Alexander McQueen. 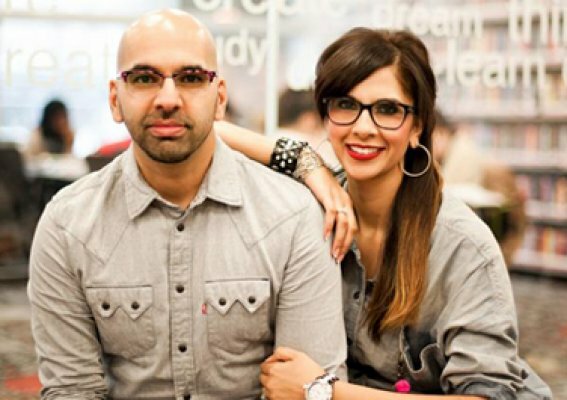 Do faith and fashion have to be at odds for a devout Muslim woman? 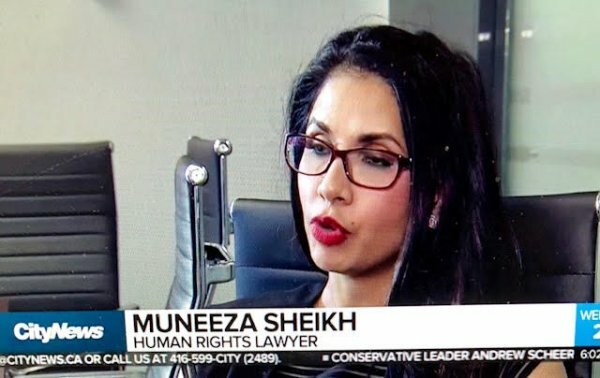 Muneeza Sheikh is a 33-year-old Toronto lawyer, wife, and mother of two small children. She is a practicing Muslim who prays regularly and fasts during Ramadan.